Aloha Expresso riders. It's time to relax with the sand between your toes and a fruity drink in your hand. The Tiki Titan challenge is a worry free event inspired by island living. Burn as many calories as you can this month. 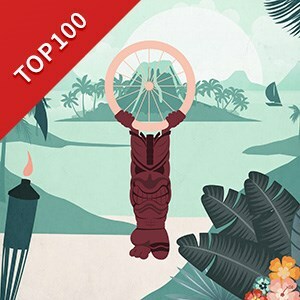 Riders who burn 2,500 calories will receive their Tiki Titan badge and be entered into the Top $100 lottery. The team with the most calories burned this month will win the official Tiki Titan Trophy.